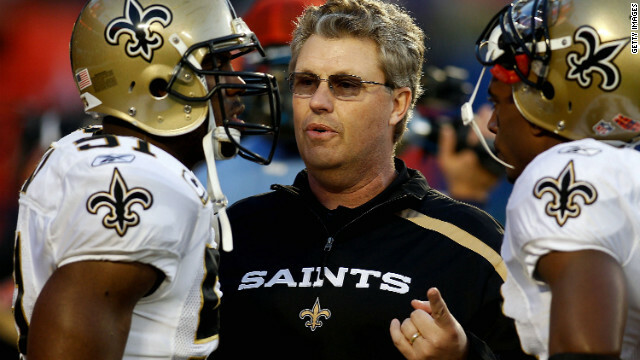 The NFL suspended St. Louis Rams defensive coordinator Gregg Williams indefinitely on Wednesday, March 21. The suspension is Williams’s punishment for running a bounty program that targeted opposing while employed by the New Orleans Saints. The NFL is expected to look at Williams’s status following the 2012 season. I have two thoughts about this suspension. First, even though I’m a Rams fan, I agree with the suspension. Running a bounty program in the NFL is barbaric and completely wrong, especially in light of recent league-wide concerns about concussions. A year-long suspension seems harsh, but when you consider that Williams led a program that essentially rewarded his players for injuring another human being, I think the punishment is fair. I do wonder if the league will allow Williams to coach again. Personally, I’m not sure if he should be allowed to walk an NFL sideline after being found guilty of running this system. Yet if he is able to return, then I will be fine with it. Most people deserve a second opportunity in life, and I think there is a good chance a team will use him. My second thought on this issue surrounds the Rams’ defensive coordinator position. I’m sure the team had contingency plans in place in case the NFL dropped the hammer on Williams, but I don’t think anyone thought he’d be suspended for a minimum of one season. I figured that he’d be out for about eight games. Rams head coach Jeff Fisher told reporters that he would probably use his coaching staff by committee to replace Williams. But I have to wonder if that will work for an entire season. The Rams have extensive coaching experience at their disposal with Dave McGinnis and Chuck Cecil already on staff. However, these men already have other responsibilities. Williams’s absence forces the Rams to find coverage for at least one season and possibly more. The Rams don’t owe Williams any loyalty. He’s never coached a game with the club, and he is guilty of setting up a program which emphasized purposely injuring other players. If there is another coordinator out there who can help the Rams now, then I think they should let Williams go. The stability of the Rams organization is more important than any one person. Derek Ciapala has been following the Rams since childhood. He has been published on Yahoo! Sports, Sports Out West and multiple other websites. You can check him out on Facebook or Twitter @dciapala.